Although the iPhone 6s and iPhone 6s Plus haven't been announced yet, KGI Securities analyst Ming-Chi Kuo (who is known for often correctly predicting various new iPhone features) is already talking about the iPhone 7. Obviously expected to be released in the second half of 2016, the iPhone 7 could become Apple's thinnest smartphone ever. According to Apple Insider, which had access to a "note" that Ming-Chi Kuo recently sent to investors, Apple wants the iPhone 7 to be between 6.0 and 6.5 mm thin. Even at 6.5 mm, the handset would be thinner than the iPhone 6, which, at 6.9 mm, is the thinnest iPhone to date. As for the iPhone 6s - which should be announced next week, on September 9 - it's said that this will be slightly thicker than the iPhone 6 (around 7.1 mm), due to the use of a new, tougher aluminum alloy, and the implementation of Force Touch technology. Already used in the Apple Watch, Force Touch will allow future iPhone displays to differentiate between light taps and firm taps. According to Ming-Chi Kuo, Apple will use the same Force Touch implementation for the iPhone 6s and iPhone 7. Well, we're waiting to see exactly what the Cupertino company announces next week, and then we can really start talking about the iPhone 7. P.S. : What you're seeing above is just an iPhone 7 concept. Render looks great (S6, is that you?). Thinnest iPhone with worst battery ever? Unless there is a breakthrough in battery tech coming next year. They can reduce the thickness about 1mm with using OLED without sacrificing battery capacity. Also next year batteries will be slightly denser. S6, is that you? No its a enlarged IPhone 4s....Something the S6 looks really similar too. No it doesnt. The iPhone 6 looks like an Ativ S. The S6 doesn't look like an iphone, it looks better. The current iPhone look like the iPods or a thinner original iPhone. The S6 looks like. A mix between an iPhone 6 and an iPhone 4. I don't get all the fuss over S6 being premium. The iPhone been premium since iPhone! why become such a worshipper? Dear tech industry, we dont need the thinnest smartphone, we need a bigger battery that can last us for a week or maybe a month !!! The 7 they should shrink bezels. More screen size. Phone is thin enough already. I can be an analyst too, watch this: I expect the iPhone 8 to have the best camera of any iPhone yet. Oh PA, some of these analyst articles are just so stupid and useless. Woah, you just blew my thinking shell Ready for this one though? 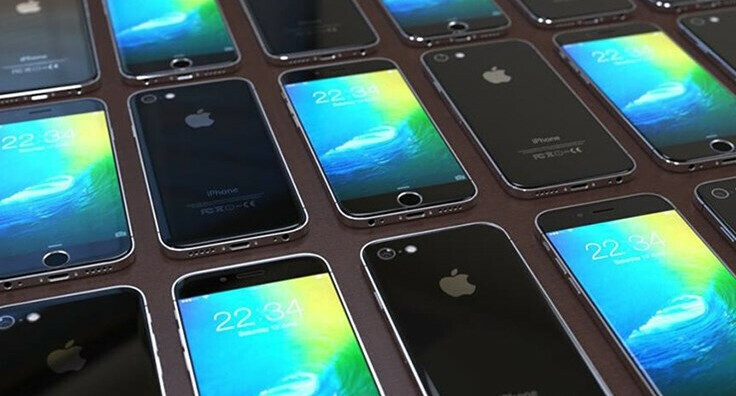 iPhone 7 will be capable of running iOS 10! Mind blown! Here's one: I expect that Apple will continue to call their phone the "iPhone". "Analyst predicts iPhone 7 will be manufactured using a proprietary geometric shape, called 'rectangular'". Well duhhh. Apple has an obsession with thinness. That's like saying this seasons superbowl will be the most recent. Haha ! Good one ! Looks like a glass back on these concept pics. I'd be surprise if they went this route but you never know. Most people I know that had one also had the back cracked - one of the reasons Apple left this design. Plus this render looks just like the 4 but sized like the 6. Smartphones are already pencil thin. No one is asking for thinness anymore as a necessary feature and is no longer a relevant selling point.